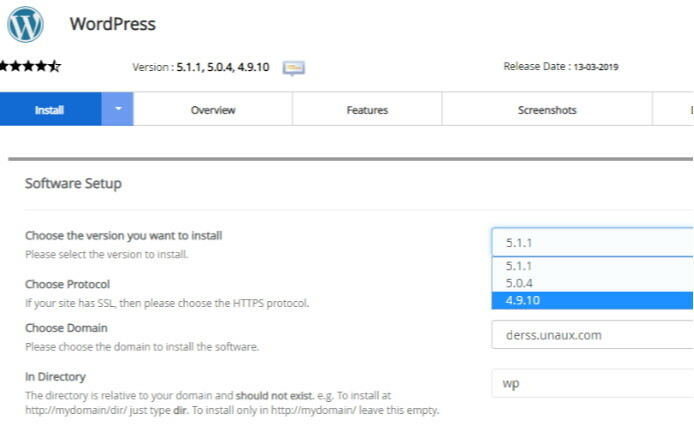 You can install an older WordPress version by manually downloading it from their site and following the instructions to install it. Also, the image you tried to post is not shown to our end, so we can't see what the problem is. Please upload it elsewhere and update the link. you can install any script that is compatible with the hosting php versions.